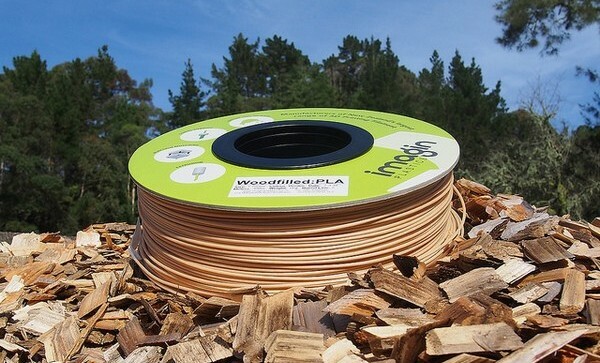 Imagin Plastics have launched a new 3D printer filament made from a Scion-developed compound containing 10 per cent by weight New Zealand pine. The filament is 100% biobased and compostable. For Imagin Plastics, the product will serve the growing share of their customers interested in sustainability and biobased plastics. Imagin Plastics National Sales and Technical Manager Ben Blakley says “As FDM (fuse deposition modeling) 3D Printing grows across all sectors we want to have high-quality options for our clients and biobased materials is a good one. Being able to work closely with Scion to see a research project over the line and make it to market is an asset to 3D printing in New Zealand”. Dr Marie Joo Le Guen, who led the project says, “This product is a great example of research and industry collaboration, and how it could strengthen New Zealand plastic manufacturing industry through innovation”. The wood within the plastic is a waste stream from the wood milling industry. It is a sustainable resource that would otherwise be discarded or burnt. The product was officially launched on 1 May in Auckland at EMEX 2018. EMEX is New Zealand's largest technology trade show for the manufacturing, engineering, machinery and electronics industries.